Resignations, fights and flame-outs have defanged an accountability office. 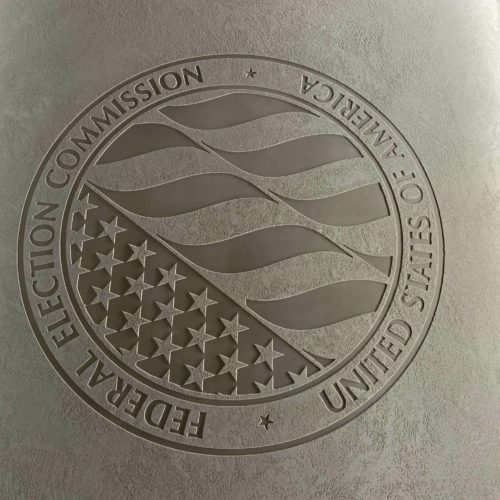 Several high-ranking positions at the Federal Election Commission are either unfilled or filled by officials on an “acting” basis. Scammers are also increasingly preying on vulnerable Americans who are misled into believing they are supporting a candidate or cause — an issue the FEC has struggled to address. Some in Congress are growing impatient. “I intend to ask for their plan to fill longstanding and important vacancies at the commission, including the inspector general position,” said Rep. Zoe Lofgren, D-Calif., chairwoman of the Committee on House Administration, which has FEC oversight responsibilities. Lofgren is a co-sponsor of H.R. 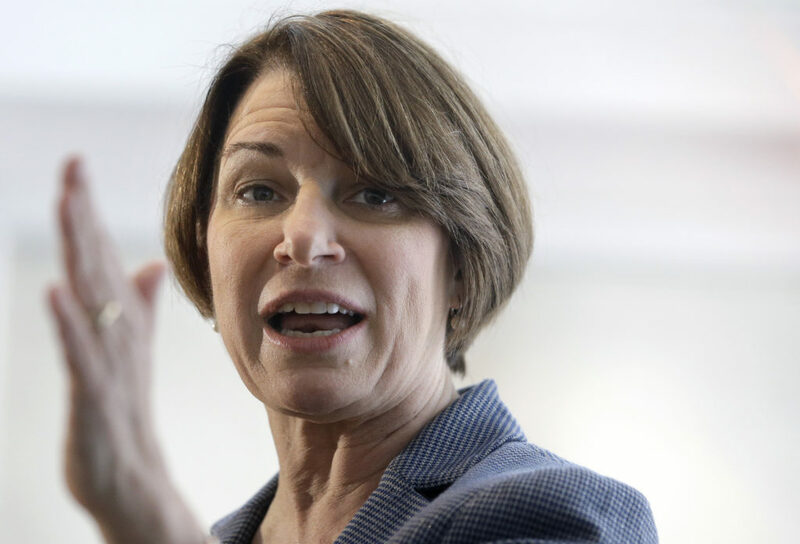 1, a sweeping ethics reform bill that calls for an FEC overhaul, and has promised to soon conduct the first oversight hearing on the FEC since 2011. 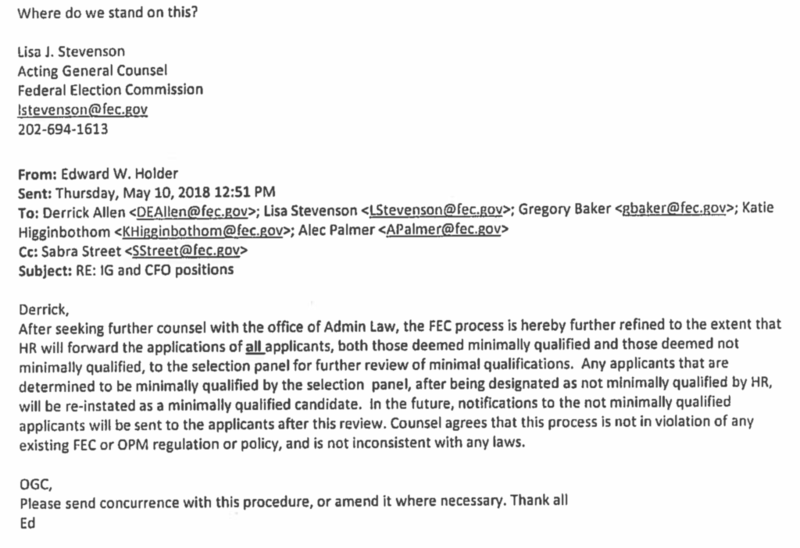 Update, 2:22 p.m., April 3: Lofgren has sent FEC commissioners a letter, dated April 1 and containing 46 questions, about the agency’s operations, including the inspector general and general counsel offices. The letter also asks about the “root causes of low employee morale” and the FEC’s backlog of enforcement cases. Lofgren gave commissioners until May 1 to respond. 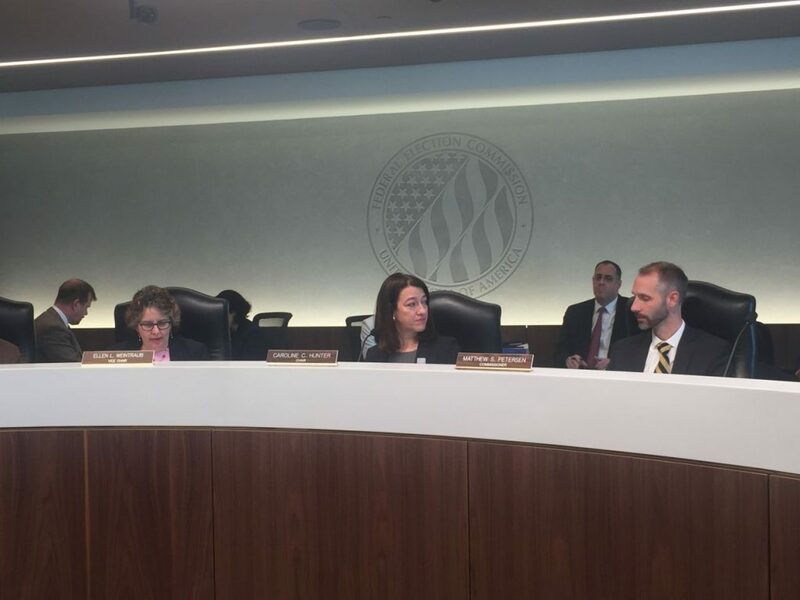 FEC Chairwoman Ellen Weintraub, a Democrat, says she expects the commission will select an inspector general soon, either on a permanent or “acting” basis. Petersen, the Republican vice chairman, concurred. A long road it’s most certainly been. And it hasn’t ended yet. The FEC’s inspector general office enjoyed nearly three decades of relative stability. That changed in March 2017, when FEC Inspector General Lynne McFarland, who’d occupied the post since 1990, retired. Since then, the office has been buffeted by turbulence. At first, FEC commissioners, that year led by independent Steven Walther as chairman, simply didn’t post an inspector general job opening. That left Deputy Inspector General J. Cameron Thurber as the short-handed office’s de facto leader — the commissioner never officially named him “acting” inspector general. Two particular situations, both involving commissioners, also contributed to the panel’s hands-off approach. First, the inspector general’s office was investigating a complaint made by the nonprofit Cause of Action Institute, which had accused Weintraub of violating ethics regulations by using “government property and official time” to demand Trump prove his claims that voter fraud occurred in New Hampshire during the 2016 election. By 2018, the FEC inspector general’s office had cleared Weintraub of any wrongdoing, but the matter led to her recusing herself from the FEC’s inspector general search for many months. The FEC formally opened the inspector general job for applications in March 2018. Dozens applied for the position, which pays up to $174,500 annually. But several agency staffers grew concerned that the human resources department, which is typically charged with weeding out applicants who don’t meet minimum qualifications, sorted too aggressively. 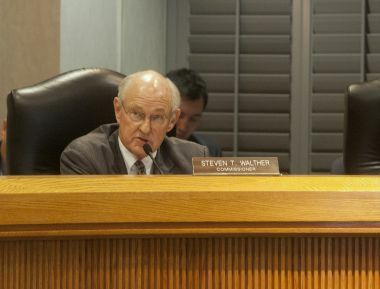 “I am hereby directing HR to provide the applications for ALL applicants including those applicants that were eliminated because they did not meet the minimum requirements to the panel members,” Edward Holder, then an acting deputy staff director, wrote on May 3, 2018, to then-Human Resources Director Derrick Allen. He followed up again on May 10 and May 14. A Federal Election Commission email chain obtained by the Center for Public Integrity indicates disagreement among staffers on how to conduct a search for a new agency inspector general. Davis, the human resources specialist who had initially disqualified many inspector general candidates, objected. “[I]t appears that the integrity of the Inspector General position has been breached,” Davis wrote. Soon after, Davis, who along with now-retired Holder could not be reached for comment, took the drastic step of yanking the job posting and resigned from the FEC. 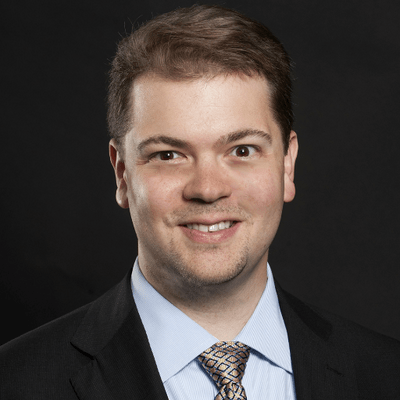 No one person is vested with sole discretion of posting and removing FEC job openings, and such action “should be done in consultation with senior management,” Petersen said. But by then, agency officials had little choice but to follow federal government guidelines and restart the inspector general search from the beginning. A new job posting went live in July. But other problems loomed. An investigation by the integrity committee of the Council of the Inspectors General on Integrity and Efficiency, an independent government entity, concluded in March 2018 that an FEC inspector general official “engaged in substantial misconduct” by “wrongfully” accepting a performance bonus from the FEC, according to a summary of its investigation report. The summary didn’t name names, but two sources at the FEC confirm Thurber was the investigation’s subject. Faith R. Coutier, assistant general counsel for the council, declined to comment or release the integrity committee’s full report. FEC commissioners declined to discuss the report, but Petersen stressed that Thurber was a “respected employee.” Weintraub said Thurber left the agency “of his own volition” in early November 2018. Thurber did not respond to requests for comment. After Thurber’s departure, the FEC’s inspector general office, current staffers for which declined to comment, had no director of any sort. Without a leader, the office’s five remaining employees — the inspector general’s staff counsel, an assistant, an investigation specialist and two auditors — couldn’t conduct formal investigations or audits or issue reports of its findings. The FEC’s inspector general office last released a public report five months ago, when it noted among other findings that FEC management has yet to adequately address 50 of its recommendations, some seven years old. It also wrote in a separate report that the FEC “lacks continued stability in key senior leadership positions,” including inspector general, concluding this represents a “very high risk” for the agency. December arrived. Still no appointment. The federal government then partially shut down on Dec. 22, as Trump and Congress battled over funding for a wall on the nation’s southern border. For the next 35 days, the FEC remained shuttered. When the FEC reopened in late January, it resumed its inspector general hiring process. Mark Thorum, an assistant inspector general for management and policy at the Export-Import Bank of the United States, emerged as a leading candidate, according to sources familiar with the hiring process who spoke anonymously because they were not authorized to comment on the search. But after FEC commissioners obtained more information about Thorum’s work at the Ex-Im Bank, they decided not to hire him. Weintraub, Petersen and Hunter declined to comment on Thorum’s candidacy, and Walther did not return requests for comment this week. Thorum did not return messages seeking comment, and Elizabeth Sweetland, counsel to the Ex-Im Bank’s acting inspector general, said her office does not comment on personnel matters. It’s not uncommon for federal government agencies to at times go weeks, even months or years, without a permanent inspector general. That’s particularly true at larger agencies whose inspectors general are nominated by the president and confirmed by the U.S. Senate — not selected internally, as is the case at the FEC, according to a 2018 General Accountability Office report. What’s not nearly as common is an inspector general’s office, such as the one at the FEC, going months without any leader at all, thereby unable to function. “The public interest is put at risk, and it’s particularly at risk when you have a non-functioning office,” said Dan G. Blair, senior counselor and fellow at the Bipartisan Policy Center, which published a 36-page report last year recommending improvements to the federal government’s inspector general function. Several former FEC commissioners generally concurred, as did several former high-ranking staffers. Sign up for the Center for Public Integrity’s weekly Watchdog newsletter. “A thoughtful, constructive IG can improve the agency,” said Lee Goodman, a Republican commissioner from 2013 to 2018. Bradley Smith, a Republican commissioner from 2000 to 2005, said he’d like to see the FEC’s inspector general office investigate whether an agency employee or employees purportedly behind the often anti-Republican @altFEC Twitter account “appropriately recused themselves from matters on which they demonstrated clear bias.” But that’s not possible now, he added. James Valvo, counsel and senior policy adviser for the Cause of Action Institute, which prompted the FEC inspector general office to investigate Weintraub, said he believes the FEC inspector general’s office took his organization’s complaint seriously even if it didn’t concur. It’s worth remembering that the FEC, by design, is SUPPOSED to be hamstrung in any case where the two major parties can’t agree. This was a safety feature to keep one party from using it as a weapon against the other. Without it, the FEC was viewed as too dangerous to be allowed to exist.